Exhibition - collection clown puppets by Gergana Petrova. Awarding those that gave best answers to the quiz show on favorite characters from children's tales and performances. Stand of Varna's publishers presenting their newest books for children. Svetlozara Doksimova and Friends Exhibition organized by the Friends in Europe Club. A project funded by the Youth' Activities and Sports Directorate of Varna Municipality. - creative communication between children and young people and the people of art. 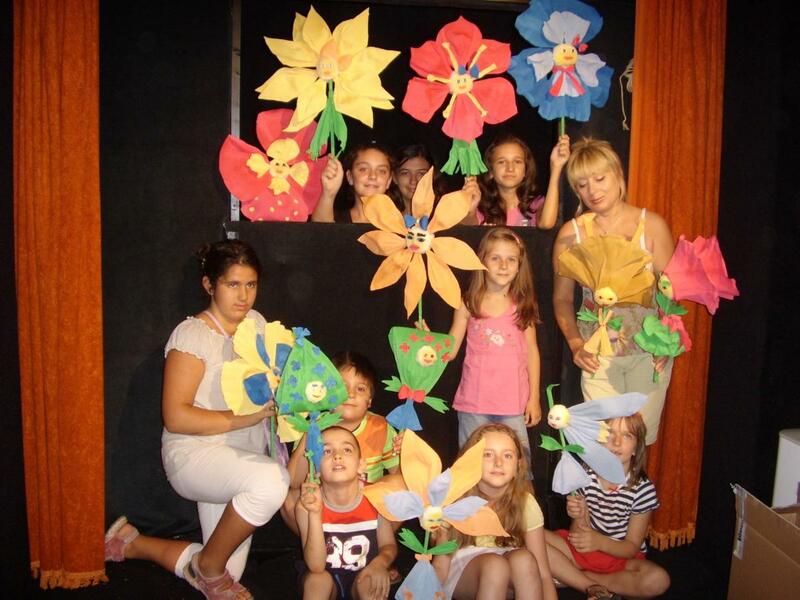 More than 350 children and young people of 5 to 25 years from various schools in Varna have been involved so far. Among them - groups from the Dr. Ivan Shishmanov High School for children with poor eyesight, Gavroche House, the Psychic Health Centre. They are grouped in workshops, each one of which works for five days. At the Museum of Puppets to the theatre - unique by its kind on the Balkans and one of the few ones in Europe. To present the history and types of theatre puppets, their design and functions. To present the main stages in the puppet theatre performance production. Under the supervision of theatre actors - independent design of non-sophisticated theatre puppets for home or school theatre. First steps in puppeteering. An attempt for a theatre sketch staging and assemblying. Depending on participants' desire, groups are formed such as: Masks, Puppet Musical, Shadow Theatre, Fantasies with Improvised Puppets, Educational Theatre, etc. Each group transforms its final day - Friday - into a small theatre holiday attended by parents and friends. 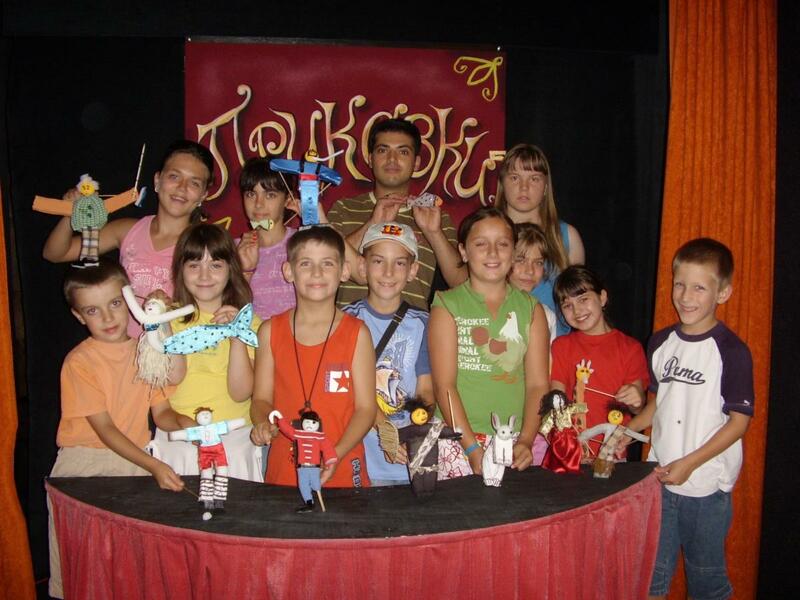 At the beginning of the school year, all participants are presented at the Summer Stage in front of the Puppet Theatre. 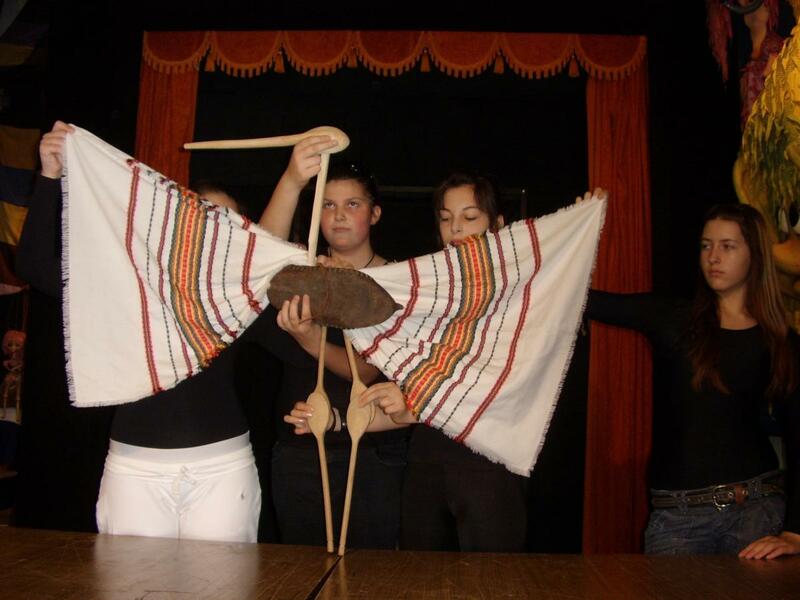 The project was also presented at the puppet therapy seminar held during The Golden Dolphin 14th International Puppet Festival in October 2008. 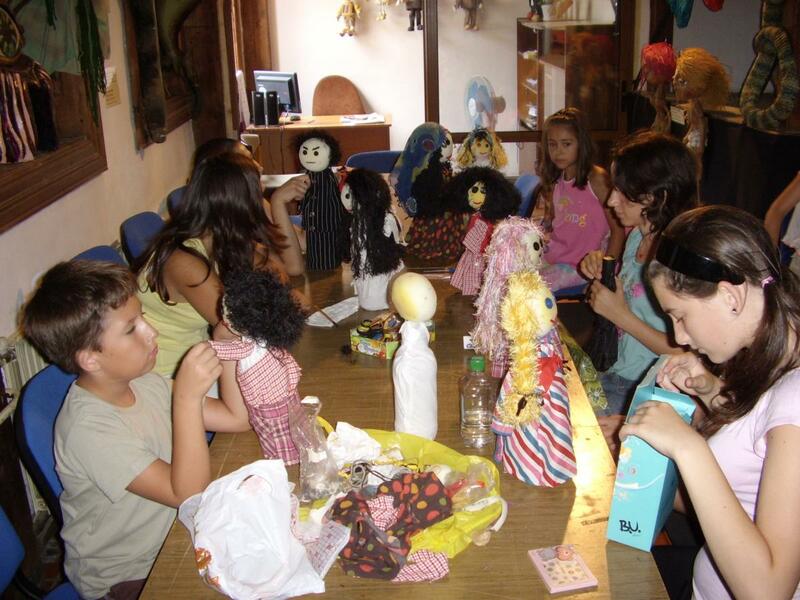 Since 2010, the Theatre Puppet Workshop is organized by the Puppet Therapy Association. Alternative out-of-school activity to develop to children and high school students skills that are almost missed in the educational programme: adequate communication and self-expression, public presentation, culture of speeking, developing the body language, artistic skills. Giving meaning to young people's leisure. Integration of young people with disabilities or from risky social groups into an environment of their age in the conditions of a fascinating and desired activity. Enabling the young people to communicate with experts and art creators in a free and fruitful collaboration and in a real cultural environment. Young people's affiliation to modern art in its various expressions. Children, high school pupils, students. Children and young people with disabilities and of a disadvantaged social status. Formation of individual schools, programmes, workshops; some of them are for short periods, others for the entire school year and the third ones are to work during the vacations. Development of habits for effective communication (Empathy - Let's Walk a Bit with Other People's Shoes, The Trust within the Dialogue); Rhetoric Mastery (Preparation, Structuring, Ways of Giving the Public Message). What does the theatre offer? 1. A facility that is convenient for work - a creative territory for young people striving for getting developed, for learning and experiencing new things, for having fun. 2. Qualified experts and creators with significant expertise in creative communication and direct work with children. In the communication with them, the various school attendants will find their unexpected abilities and the pleasure to make them come true. 3. A project overall concept, management and organization.